Your computer desktop is a hellscape of distraction. And so is mine. But mine is slightly less so, because of a number of strategies and utilities that I employ to keep it as clean as possible. The basic idea here is to stop keeping so many browser tabs open – email, Facebook, calendar, your to-do list, articles to read, videos to watch – it never ends. And the result is that every time you glance at your browser’s title bar, you’re bombarded with the distraction of all these open circuits and loose ends. It is absolutely counter-productive to a focused workflow, whatever you’re working on. Below are some strategies and utilities that I use to tame the Beast. Do you keep your email open in a browser tab at all times? Of course you do – what do I think you are, some kind of Luddite? Well, stop it. It’s distracting. MailTab Pro for Gmail is a menu bar app that alerts you when email arrives and gives you quick, browser-less access to read and compose. It looks and behaves exactly like gmail in your browser, but tucked neatly into your menu bar. $1.99 for the pro version; there is also a free version available. Similar competing apps exist, as do menu bar apps for Yahoo Mail and other services, but I can’t vouch for those. Think you see a pattern? You’re right. Get all of those pinned tabs out of the way and up into the menu bar, where you can access them when you need them without the psychological overhead of a browser. MenuTab Pro for Google Calendar is a simple app that keeps your Google calendar in your menu bar, out of sight and out of mind – until you need it. $1.99. This one’s sort of a twofer. 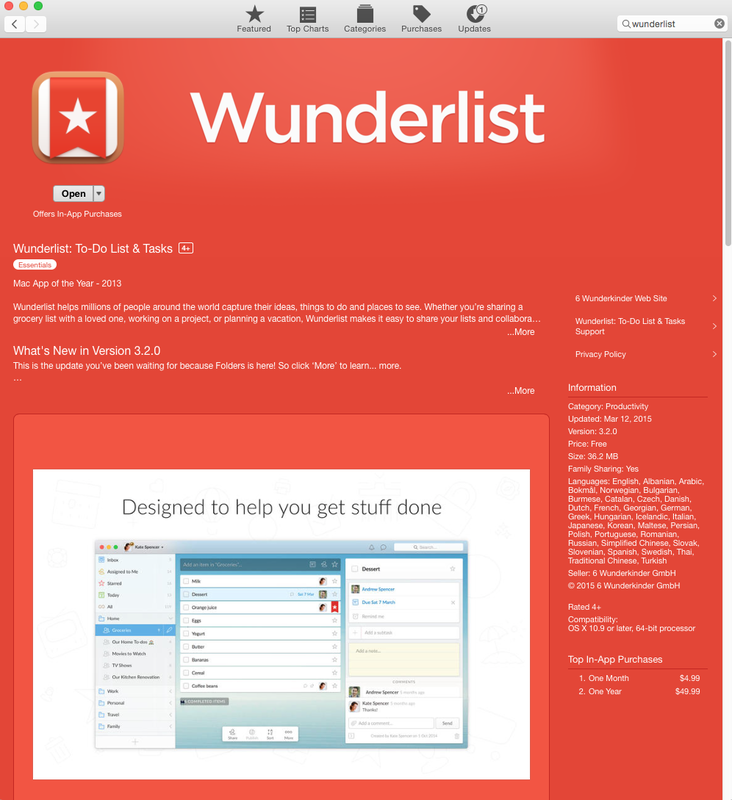 I’m assuming you already use a to-do list like Wunderlist or Toodledo. If you don’t, proceed immediately to wunderlist.com and sign up for an account. There is nothing quite so liberating as a to-do list that follows you everywhere you go, from desktop to laptop to phone to tablet. Well, that or maybe representative government. But you already have that. Sort of. And finally, if you’re like me, you enjoy Neil Diamond and are jealous of your wife’s relationship with your cat. Also, you have infrequent interactions on Facebook, but are compelled to constantly check to see if you have any alerts, despite all good sense. MenuTab for Facebook will fix that nonsense. Just stick it up in your menu bar and it will tell you when it’s time to check; in the meantime, those pictures of your cousin’s dinner won’t miss you one bit. Free, or $1.99 for extra features. Hopefully by now you have installed and are faithfully using your to-do list. That’s great, but what about when you need to make a note longer than a few words? Stop opening TextEdit, and start using Evernote. Evernote allows you to create notes, sort them into notebooks, and sync them across multiple devices. It’s like Apple Notes, but with greater portability. You can use Evernote natively to sync your thoughts across OS X, Windows, iOS and Android, and there are several options for using it with Linux. If you’re a YouTube power user (does that sound as ridiculous as I think it does?) you already know about the Watch Later playlist. But if you’re a casual user, you may not be aware. 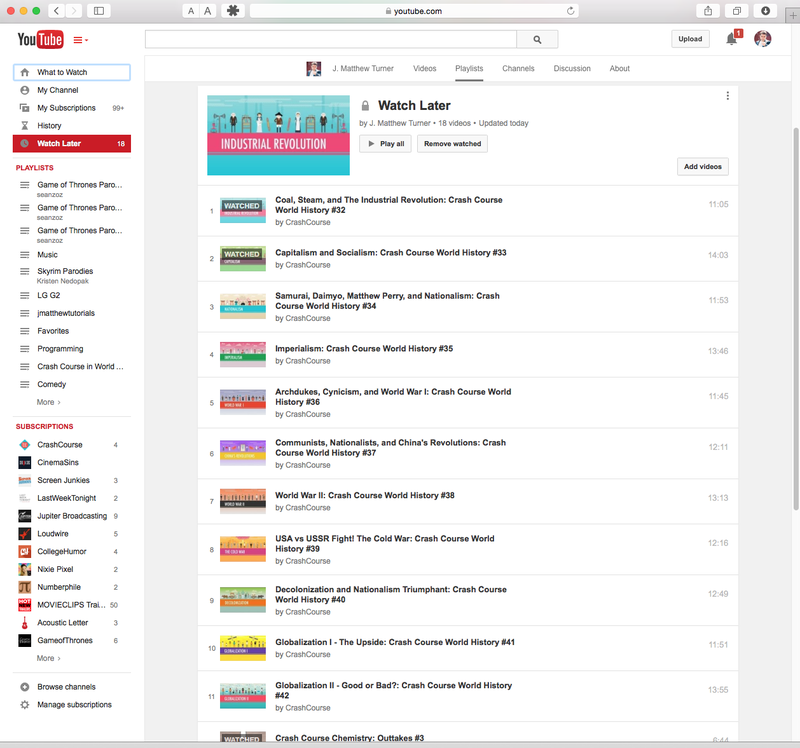 The Watch Later playlist is created in your account by default. Whenever you come across a video that you want to watch – but not right now – hover over the thumbnail and you’ll see a little clock icon in the lower right corner. Click that to add the video to your Watch Later list. When you have a few minutes for a break, check out the playlist (in the upper left of your screen) and see what you’ve queued up for yourself. It’s a thousand times better than keeping twenty YouTube tabs open for stuff you’re totally going to watch, like, whenever you get a sec. For realz, yo. Ok, so by now you ought to have your email, calendar, to-do list and Facebook apps running out of sight in your menu bar, and you’re tracking your projects with your to-do list and keeping notes with Evernote and sticking all those cat videos into your Watch Later list. If we’ve done this right, you might be able to – gasp – close your browser! And not even with tabs open so they all come back when you relaunch, but actually close it all so it opens cleanly the next time you actually need it. And as long as you don’t need it, it can stay closed, and your desktop is now free of distraction! Huzzah! I’m not sure TotalFinder is a productivity app per se, but it goes a long way to cleaning up your desktop, and I sure couldn’t live without it, so here it goes. 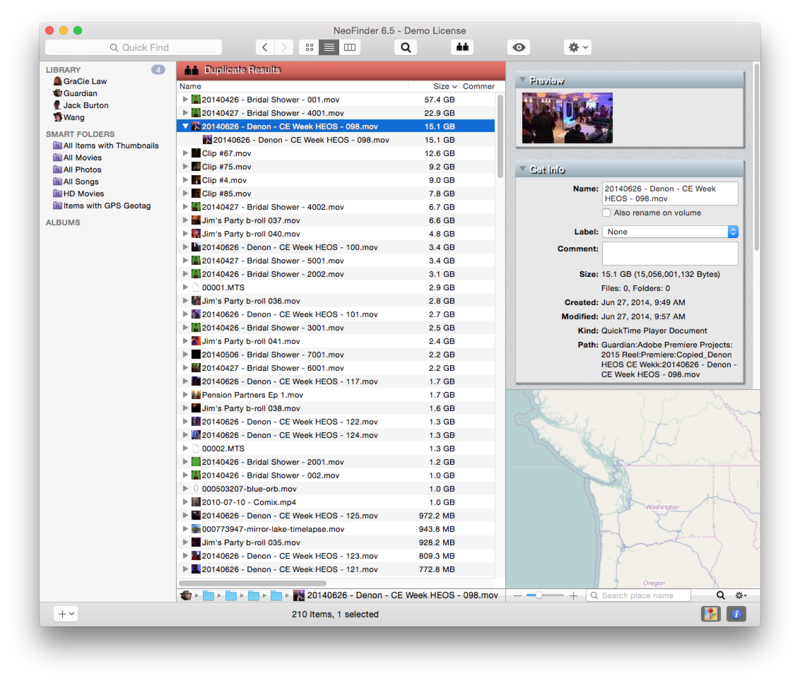 TotalFinder is the Finder replacement that ought to come stock with OS X. 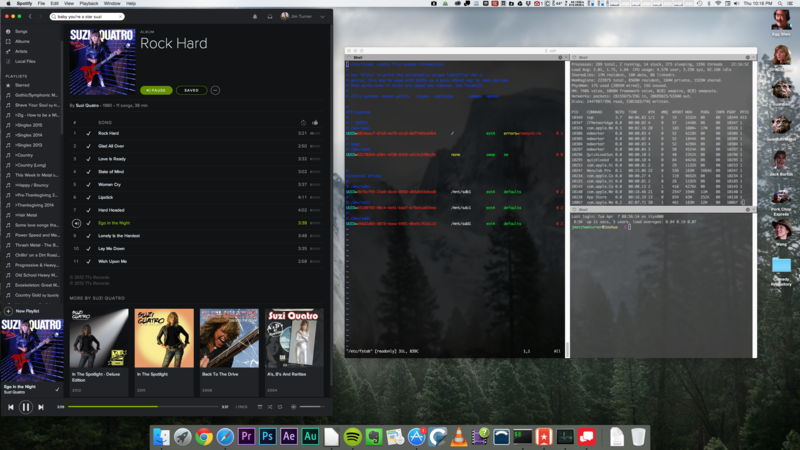 It maintains a single window with tabs for multiple directories, and keeps that window hidden when you don’t need it. A hotkey brings it up when you need it, and hides it when you don’t. It also has a whole host of other options, so you can have granular control over your Finder experience, if you’re into that kind of thing. $18 and worth every penny. NOTE: This article was originally posted 8/27/2012. 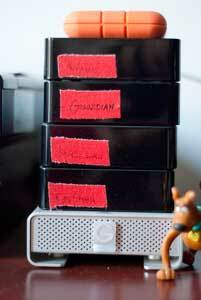 Two things I know about video editors: most of us use Macs, and all of us have a LOT of hard drives. If you’ve ever wondered where that project from three years ago got off to, NeoFinder is for you. NeoFinder (formerly CDfinder) catalogues all your hard drives and creates a database of all of their contents. You can then browse and search the file structures of all your drives without having any of them plugged in. So now when you can’t remember which of your 20 hard drives has Grandma’s 80th birthday party on it (don’t lie – everything you do isn’t for a fortune 500), you just fire up NeoFinder, search for your project, and let it tell you which drive it’s on. Easy. So easy, you’ll wonder how you ever lived without it. NeoFinder is free for up to 10 drives, and after that it’s $39.99 for a single user. Mac only.